Jerry Ballgame is back with some more observations. 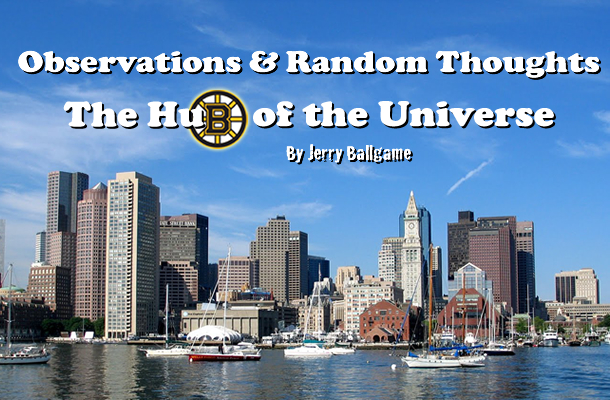 This week, he draws his inspiration for his random observations and thoughts from some very interesting places… Read on! Will Boston Jerry’s predictions cause him to make this face come Super Bowl time? 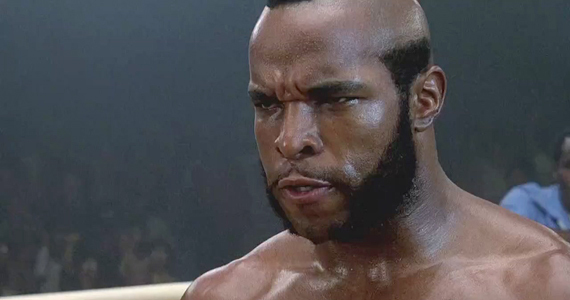 My prediction that the Patriots will defeat Green Bay in the Super Bowl, is looking very similar to Clubber Lang after the world’s most famous fictional heavyweight, rocked him with a left hand to the solar plexus. Mr. T, in his first dramatic role, does this kind of wobbly-legged dance before succumbing to the challenger’s rope-a-dope tactics. Green Bay’s loss to the Chiefs, as well as the junior varsity quality of the Pats’ defense of late, has taken the legs from under my scenario. Although it is in theory still feasible, I’m not betting on it. Surprisingly enough, it’s what’s going on with the Packers, in my mind at least, that constitutes the biggest threat to my prognosticating. Key late season injuries, especially to their offensive line, could cause real problems for them going forward. Everyone likes to talk about the mobility of Aaron Rodgers, but if I’m the Packers’ brass, I’m remembering the two concussions he suffered last year, and that he’s probably one good hit from long term trouble. The Patriots are in a similar situation with their O-line, but Belichick has displayed a talent for stockpiling competent reserve linemen (the center position alone has gone through four different starters) and against Miami, it certainly saved the day. That and the Patriots’ ability to make adjustments on the fly, could still lead to success in the post season. However, if one of those adjustments is at quarterback, you can as the saying goes, “Forget about it!” Brady recently missed practice to have an x-ray taken of his left shoulder. There were fears that he had suffered a separation in the game against the Dolphins, but apparently has been cleared to play against Buffalo. Interestingly enough, I believe that there is a perception out there; because of rule changes with his name on them, and his modeling career, that he isn’t as tough as others. If you watch enough of the Pats then you know he regularly takes a real beating, often releasing the ball just before getting “drilled”. I’m still convinced that his play in the ’07 Super Bowl was adversely affected by a high ankle sprain, although he’d be the last one to admit it (Steelers fans take note). At any rate, we are really only a few weeks away from finding out if the New England Patriots are the football equivalent of the 2011 New York Yankees. Both teams, known for their offensive firepower, had very successful regular seasons. For the Yanks, it was their pitching that let them down and led to the baseball version of the one and done. As for the Pats (stop me if you’ve heard this before), they could be tripped up by their defense, especially the secondary. Stay tuned. Will Allen and Rondo be out the door if the Celtics don’t get things going? The “GOOD” would obviously have to refer to our Stanley Cup Champion Bruins. After one of the worst post-cup hangovers of all time, they have put together two strong months to jump to the top of the Northeast Division, by nine points as of this writing. They are very much in the battle for the overall lead, going nip and tuck with two or three other teams. Offensively they’ve been paced by the youngsters Brad Marchand and Tyler Sequin. Tim Thomas has been his old self in the net, but perhaps most significant in regards to their hopes of repeating, is the play of the 24 year old goalie, Tuukka Rask. We all know that goaltending wins Cups, so even if the 37 year old Thomas falters, Tuukka appears to be coming into his own. Good news for the future of the Black and Gold. The “BAD”, in this case refers to the season start the Celtics are experiencing, as they appear old right from the get-go. Yes they had nice comebacks against both the Knicks and the Heat, but they totally ran out of gas against the Hornets (by the way nicknames should stay put. Utah Jazz? Really?) It’s very disconcerting to have Paul Pierce on the shelf after just a few weeks of basketball. How is he ever going to survive the season? It also seems apparent that the Celtics management has concerns about the character make-up of guard Rajon Rondo. I would expect that Rondo will be gone from Boston over the next few months. Ray Allen is also likely trade bait, should the Celts fail to get going. The last one was easy. You’d have to go back to the Haywood Sullivan ownership days to find as ugly a stretch of Red Sox happenings, as we’ve witnessed since the beginning of September. It’s all been covered; the collapse, the departure of manager and general manager, the new manager search, the sudden concern with money, and the sudden loss of Papelbon. So what looks like intelligent additions to the bullpen, can be at last taken as something positive. With the additions of Andrew Bailey from the A’s and Mark Melancon of the Astros to the back end of the bullpen, it allows them to return Daniel Bard to the starting rotation, where he was in college. It would seem that Bard’s mental makeup might be better suited for starting, as he really seemed to come apart during the stormy September. Add Ryan Sweeny to the outfield mix, the flexibility offered by Alfredo Aceves, combined with the fact that the Sox didn’t seem to give up too much, and finally something to feel good about! Now when does Spring Training start?